Enjoy the top 74 famous quotes, sayings and quotations by Carl Rogers. The only reality I can possibly know is the world as I perceive it at this moment. The only reality you can possibly know is the world as you see it at this moment. And the only certainty is that those perceived realities are different. 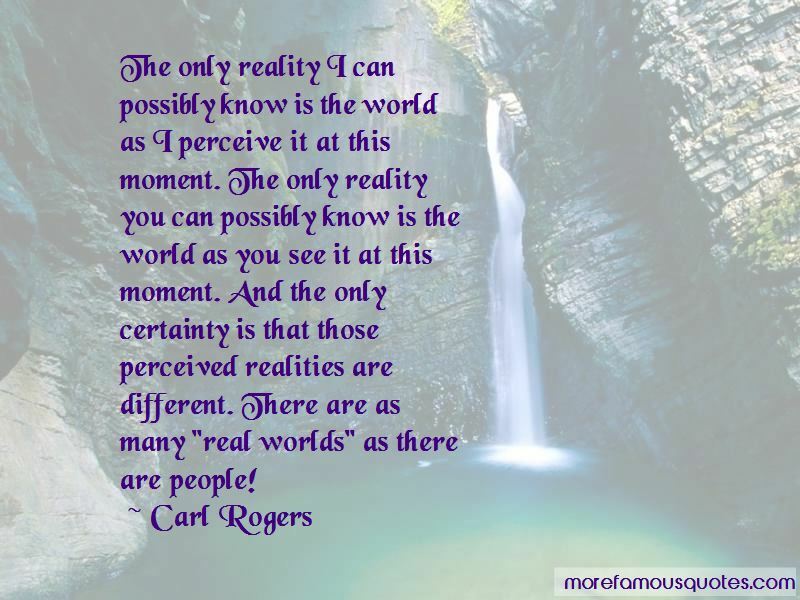 There are as many "real worlds" as there are people! To be original, or different, is felt to be "dangerous." 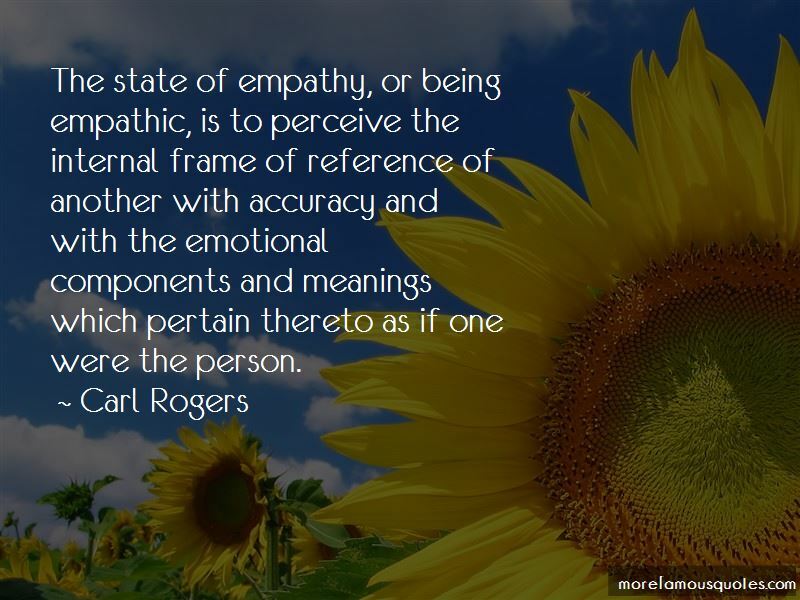 An empathic way of being can be learned from empathic persons. Perhaps the most important statement of all is that the ability to be accurately empathic is something which can be developed by training. Therapists, parents and teachers can be helped to become empathic. This is especially likely to occur if their teachers and supervisors are themselves individuals of sensitive understanding. It is most encouraging to know that this subtle, elusive quality, of utmost importance in therapy, is not something one is "born with", but can be learned, and learned most rapidly in an empathic climate. 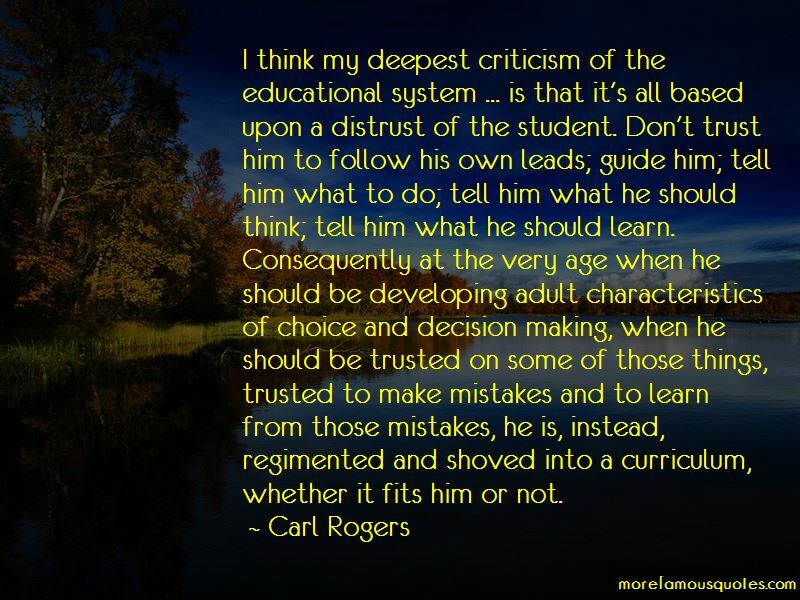 Want to see more pictures of Carl Rogers quotes? 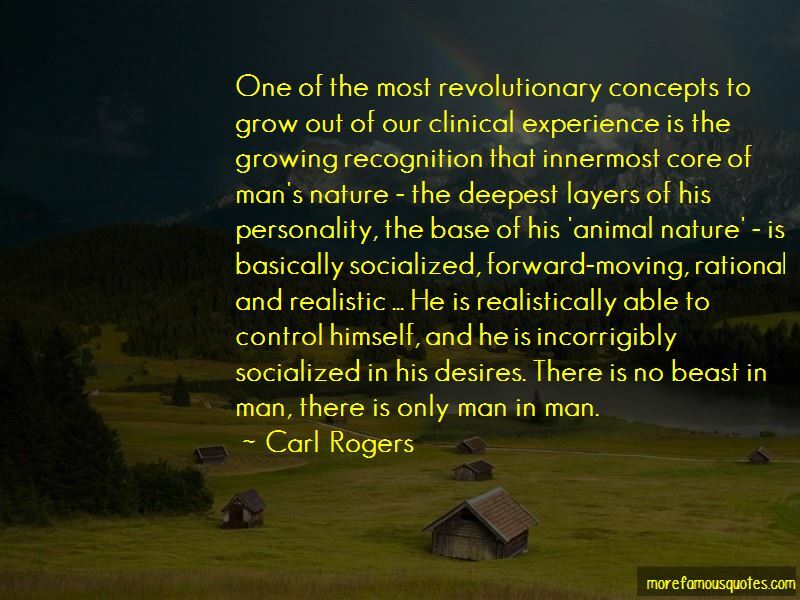 Click on image of Carl Rogers quotes to view full size.